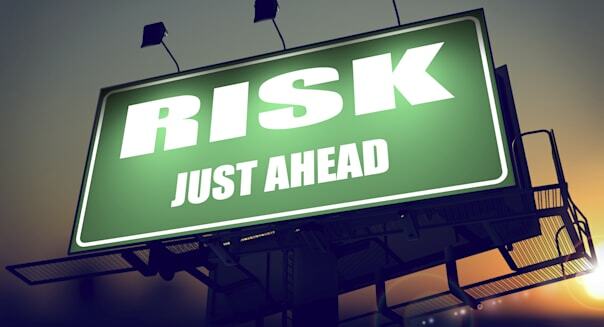 "Risk" doesn't have to be a four-letter word. Yes, 2008's losses still sting. But here's how to start steering by looking out the windshield and finally giving up the rearview mirror. It's best to master the process of moving on, says Lauren Cohen, professor of finance at Harvard Business School. "There will be another downturn -- hopefully, less painful," he says. Market downturns are so hard to shake off, he says, because human psychology puts greater weight on losses than commensurate gains. In other words, you feel worse about losing $1 than you feel happy about gaining $1. It's hard to lead with your head and ignore your gut, but that's what it takes to get over steep losses, according to Cohen and other advisers who study risk. First, learn from your mistakes, Cohen says. During the Great Recession, if you bailed out at the trough in 2009, you probably suffered the worst losses. Next time, hang tight. "Risk is not a one-year downturn. Retirement is a 10- to 40-year goal, so you have to think of your investment risk over that period," Cohen says. "Match your investments with the goal. The goal is to have accumulated enough by the time you retire, not right now." Take a hard look at how much you can stand to lose before you make any plans to invest your money, recommends Samuel K. Won, founder and managing director of Global Risk Management Advisors, an investment risk management advisory firm to institutional investors and asset managers. "If there was a market downturn, and there will be, are you comfortable with, and can you afford to lose, 20 percent of your portfolio?" he asks. Before you make asset allocation decisions, figure out how much you can afford to lose. That should be one of the first considerations an investor takes into account before making any changes to an investment portfolio, he says. Most people, of course, must take on a minimum amount of risk to keep at least part of their portfolio growing to generate enough income to keep up with their needs as they age. Separate your portfolio into two sections: a lower-risk portion that is associated with a minimal return that enables you to retire with commensurately lower risk, and an upper-risk portion that is associated with the maximum level of risk that you can tolerate and will drive growth. This design will position you so that you "don't lose so much that you are taking 10 steps backwards when the next major market downturn emerges," Won says. Currently, bonds do not yield much, but you won't lose anything, either. It's important to remember that making up losses will be hard because you will be rebuilding from a smaller base. In other words, if you lose 30 percent of $10, the $7 you have left will have to increase by 43 percent to restore the account to $10. Ted Fischer, president of Fischer Investment Strategies, a financial planning firm in Westlake Village, California, has clients create "buckets" for risk: short-term savings with low risk (as for a house down payment); longer-term savings for growth; and longer-term savings with less risk. "If you show clients that the short-term bucket didn't see much loss because they were in low-risk [investments], then people feel confident that they will hit their short-term goals, while still having risk runway to achieve their long-term goals," he says. Won points out that due to the financial crisis of 2008, many rules and regulations have tightened risk parameters in the investment industry. "Lots of asset managers are being forced to do much more formal and enhanced risk management to cover their fiduciary risks, and individuals should also be doing the same," he says. When you are working with a financial adviser or registered investment adviser, consider getting a second opinion on the risk profile of your portfolio, Won adds. Your goal is to make sure the amount of risk your adviser recommends isn't affected by how he or she is paid for working with you, either by fees or commissions. Also take a cue from institutional money managers and conduct annual risk checkups to make sure your portfolio is still within your risk tolerance level, and see how your portfolio is performing compared with several types of benchmarks -- such as stock and bond indexes -- so you can gain context for how much you are gaining for the risk you are taking. One way to gain insight is by looking at Morningstar's risk ratings for various mutual funds. "Look at the fund's volatility -- how much has it gone up or down? No, the past doesn't guarantee the future, but it does show volatility," Won says. If all this sounds too theoretical, try translating some of the what-if-the-market-crashes scenarios into real-life implications, Fischer says. "If your portfolio lost 14 percent or 20 percent, what would that mean for when you retired and with how much?" he says. Balance that with this truth: "It's hard to rebuild if you aren't willing to take the risk," Fischer says.